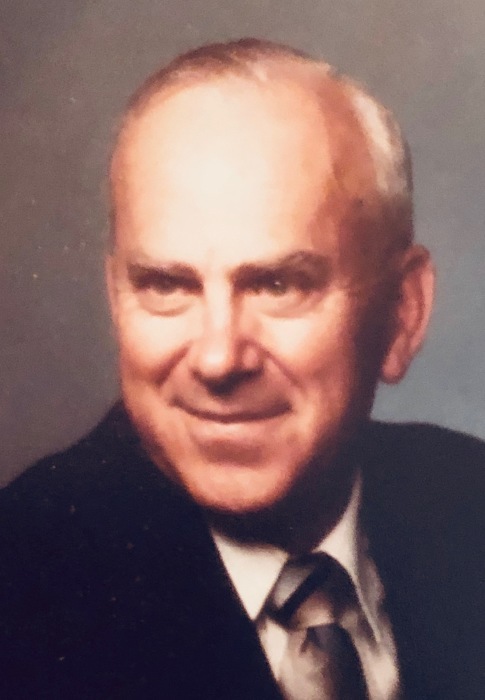 Charles “Charlie” Edward Riek, 91, of Coralville, IA, formerly of Grundy Center, passed away on Tuesday, January 22, 2019 at Lantern Park Specialty Care in Coralville. Visitation for Charlie will be held on Tuesday, January 29th from 5:00 PM to 7:00 PM at Abels Funeral & Cremation Service-Engelkes Chapel in Grundy Center. The funeral service will be held on Wednesday, January 30th at 10:30 AM at the United Methodist Church in Grundy Center. Burial will follow services at the Rosehill Cemetery in Grundy Center. Memorials may be directed to the family, where they will donate to a charity of their choice at a later date. Charlie was born on July 14, 1927 in Muscatine, Iowa, the son of William & Gwen (Holiday) Riek. He was raised in Muscatine, where he attended school, later graduating from Muscatine High School in 1945. After High School, Charlie enlisted in the United States Navy on June 20, 1945 (serving in the Philippines at the end of World War II) and was honorably discharged on August 19, 1946, as a Seaman First Class. After his stint in the Navy, Charlie went on to attend Iowa State Teacher’s College (now known as the University of Northern Iowa) in Cedar Falls, where he played varsity basketball and earned his Bachelor’s Degree in 1950. While in college, he met the love of his life, Patricia Graham. The couple married on December 27, 1952 in Patricia’s hometown of Springville, IA. After Charlie and Patricia were married, the couple moved to Grundy Center, where their oldest three boys, Norman, Charles & Robert, were born. The family then relocated to Clarinda, IA, where Thomas and Scott were born and then to Iowa Falls, where their only daughter Kay, was born. In 1964, the entire family moved back to Grundy Center, where Charlie remained until 2008. For most of Charlie’s career, he was a teacher and coach in the Grundy Center School District, of which some of that time, he was the Activities Director. Charlie was a member of the Grundy Center United Methodist Church, the Grundy Center American Legion and longtime leader and member of the Manly Drug Coffee Club. In addition to his busy work schedule, Charlie always found the time to follow his children’s athletic activities including basketball games, golf meets and tennis matches. He also enjoyed traveling and as a young family, Charlie, Pat and their kids went on annual camping trips all over the country, mostly out west and throughout the Midwest. It was a tight squeeze, but they all enjoyed every moment of it! In later years, Charlie and Pat continued their travels, with a cruise to the Panama Canal and a European vacation to London and Paris, a true highlight of their retirement. Above all, Charlie loved spending time with his children and especially his grandchildren. He will be dearly missed by those he leaves behind. He is survived by his children Norman (Christie) Riek of Crossville, TN, Charles (Linda) Riek of Placerville, CA, Robert (Linda) Riek of Dallas, TX, Thomas (Frances) Riek of Elmhurst, IL, Scott Riek of Iowa City, IA and Kay (Frank) DiLeo of Iowa City, IA; 13 grandchildren and 6 great-grandchildren. Charlie was preceded in death by his parents; wife Patricia (2003); sister Theo (William) Graham.